Most reputable online bingo sites provide new players with free bingo games. These give new players the chance to try out the site’s game software without risking any money. At some sites players can even win real cash prizes playing free bingo games. Without free online bingo games there would be no online bingo industry. The first games were launched in 1996 in the United Kingdom. Games were free and all players had to do to access the games was provide some personal information that was later used for marketing purposes. Most online bingo games were free until the turn of the century when the first pay to play sites emerged. The first bingo sites also offered freeroll games to attract players. By 2006-07, there were about 300 bingo sites doing business around the world. Bingo sites experienced a rapid growth in player numbers after the imposition of a national smoking ban in Great Britain. Bingo has been an ingrained part of British culture since the postwar years. Changes in British gambling laws in the mid 60’s allowed the land based bingo industry to rapidly expand. The ‘golden age’ of bingo continued until the 80’s and declined during the 80’s and 90’s. The online bingo industry in the UK came into its own after the smoking ban. Marketing strategists used free bingo games to attract players. The use of flash technology made free bingo games widely available and players no longer had to download game software and had instant access to games. The addition of chat rooms spurred further industry growth. 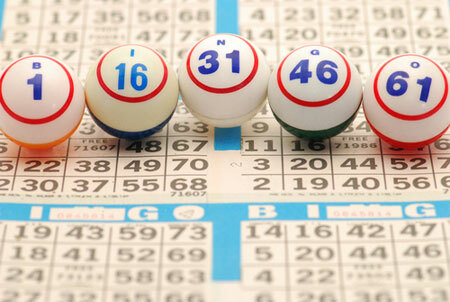 Most bingo sites added side games to compete with online casinos. The move was well received and today some bingo operators say that most of their profits are generated by side games and slots in particular. Live online bingo and casino games are a relatively new development. One British bingo site has added webcams providing players with face to face communication. Mobile bingo games are also new and several major online bingo operators have added mobile applications for smart phones. Mobile technology has presented the industry with some challenges such as limited screen size and chat room participation. Most experts believe that these problems will be solved in the very near future. Bingo has experienced steady growth throughout the global recession and some say that the legalization of online bingo by several US states could trigger the next bingo boom.